If you’re a member of the military, a required military move to a new location is an expected way of life. When you get deployed or get an assignment for temporary duty, you are likely going to have personal property that will need temporary storage while you’re away. If you are assigned a permanent change of station in Northern Virginia, you will need a mover and in most circumstances, some temporary storage during the military move or sale of your home. If you’re struggling to find long-term storage while you’re relocating or remodeling, or if the new residence cannot accommodate your belongings, we offer that as well. Your storage unit will be stored in a secure, climate-controlled facility and only you will have access to your belongings. You also have the option of storing the unit on your property to make it easily accessible and convenient. We work on your schedule and can pick up and deliver your belongings to you whenever is convenient.Our units are street legal and can fit wherever you need. Zippy Shell has convenient and affordable military storage and moving solutions to make those transitions as stress-free as possible - for anyone in Northern Virginia! Call us now at (571) 933-8110 to schedule your appointment. A military DITY move, or Do It Yourself move, is when you do everything yourself or hire a moving company on your own, instead of using a government authorized military moving company. This is also sometimes referred to as a Personally Procured Move, or PPM. The U.S. military will reimburse you based on the Government Constructive Cost (GCC), which is the amount it would have cost the government to move your personal property during a government procured military move. This means that finding a more affordable option on your own could actually make you a profit! Zippy Shell is more affordable than the competition and has already helped many armed forces families in Northern Virginia with their military storage and moving needs. We understand that military leave time is precious. Using Zippy Shell for your military storage solution is far more convenient and time-efficient than traditional self-storage in Northern Virgina. Why rent a truck? Then have to pack and load everything into the truck, drive and fight the traffic and unload it all into a storage unit, only to have to repeat the process when you want your belongings back? Zippy Shell will bring a portable storage container to you and you can pack and load it at your convenience. When you’re ready, we’ll pick it up, store it, and deliver it back to you to unload at your convenience. No hassle, no driving, no stress. 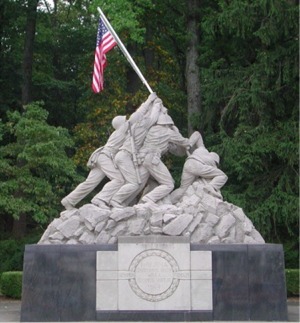 Zippy Shell is proud to support our United States Military personnel. Whether you’re stationed in Arlington or Quantico, living in Alexandria or Fairfax or other areas in Northern Virginia, call Zippy Shell for a free quote and to discuss what services you need for your military DITY move. Zippy Shell Northern Virginia has a Shopper Approved rating of 4.9/5 based on 112 ratings and reviews!